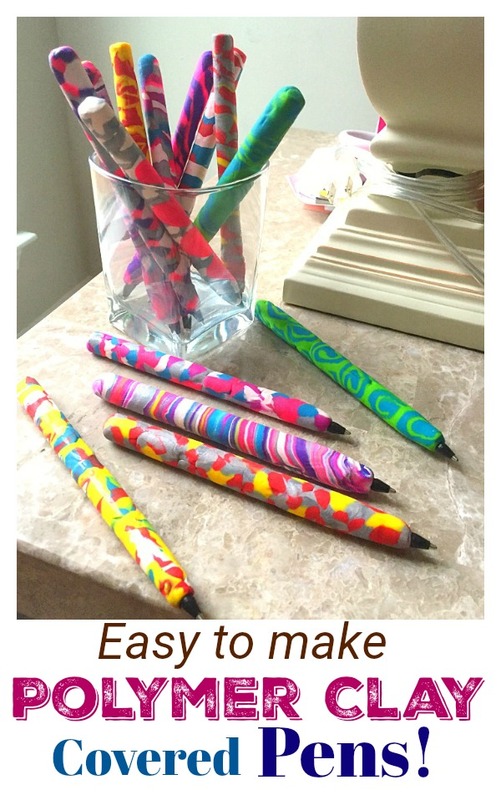 How to make Decorative Pens with Polymer Clay! I was visiting my daughters during the holiday season and got in a crafty mood. I decided to create pretty polymer clay covered decorative pens. When I pulled out the polymer clay in beautiful colors, it wasn’t long before they joined me. We ended up making so many amazing polymer clay colored pens. You might even say that we got a little carried away! This post also includes more Polymer Clay Craft ideas. So be sure to page to the bottom for lots of inspiration! Polymer clay is super forgiving. It doesn’t harden until you are ready for it to harden. The color combinations are limited only by your imagination. Go grab a bunch of pens and make something beautiful! I’m SO excited to be guest posting over at Kenarry: Ideas for the Home today sharing all of the instructions for this project! You can find the full details and lots of photos of this fun Polymer Clay Covered Pens project HERE! 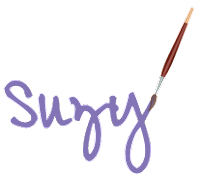 Want more Polymer Clay ideas? I wanted to make mom something special that she could not get just anywhere. I’ve also been playing a bit with polymer clay techniques. So, let’s combine the two! 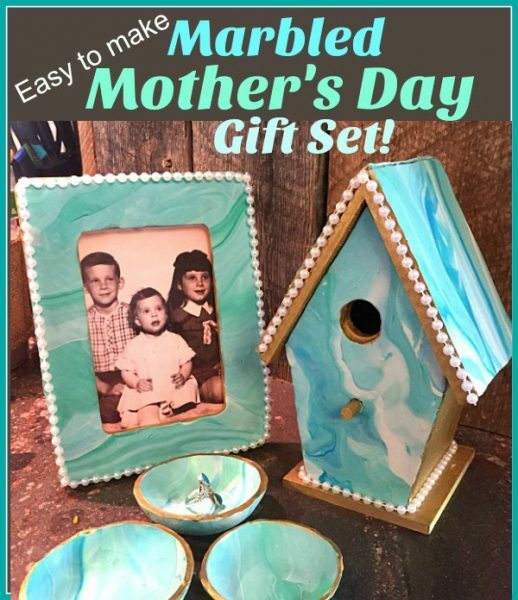 Here is an easy to make and unique gift idea; a Marbled Gift Set including trinket dishes, a marbled frame, and a little marbled bird house! 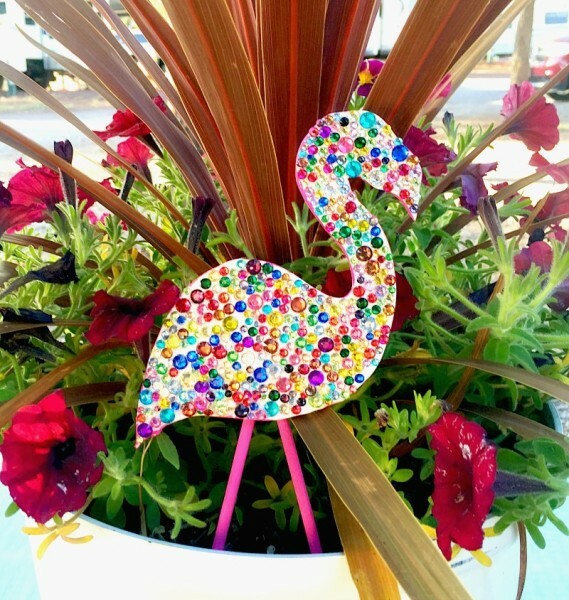 Create pretty Sparkling Flamingo Plant Pokes with polymer clay! This is a fun tutorial that includes the free flamingo pattern! You can find it HERE. Next post: How to make Homemade Conversation Heart Candies! Previous post: Thinking of Spring Quilt Pattern!